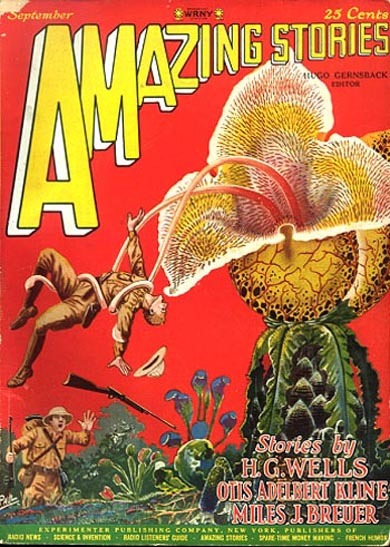 This week we’re going to take a look at some early AMAZING covers. 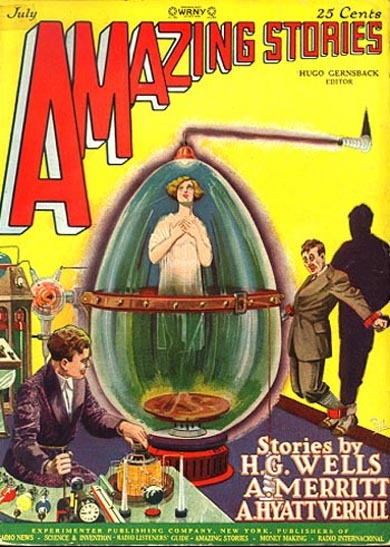 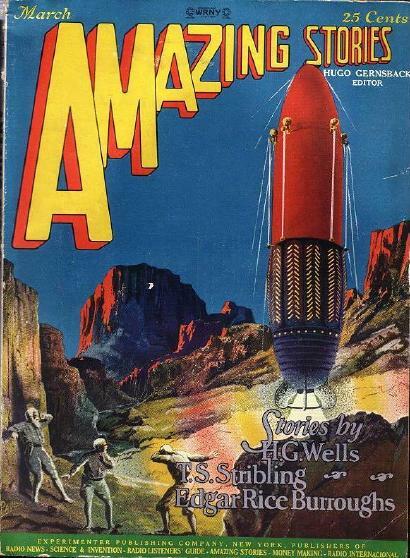 AMAZING was the first magazine dedicated explicitly to science fiction. 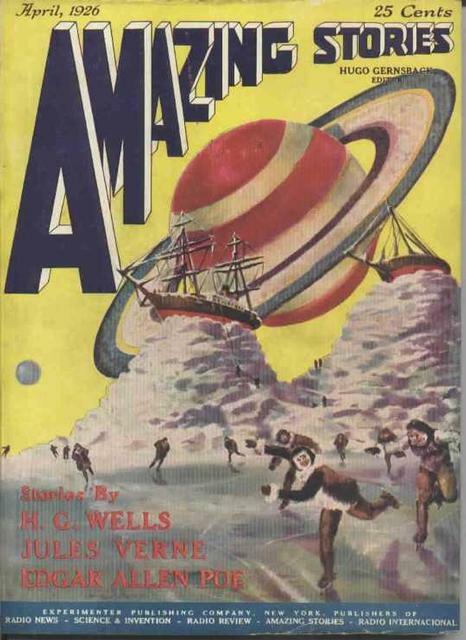 In honor of its status as the first sf zine, we’re going to look at some other firsts in its publishing history. 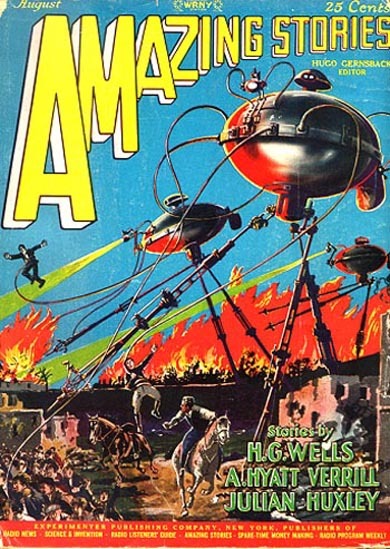 Actually, it’s pretty AMAZING (see what I did there?) 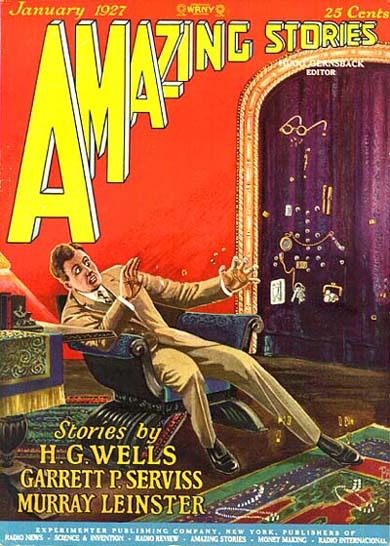 how quickly common sf tropes appeared in the magazine, although, really, was it a law or something that virtually every issue had to have an H. G. Wells story in it? 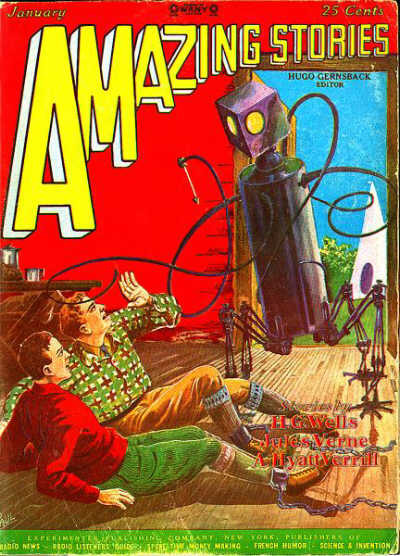 First up, the first issue: April 1926. 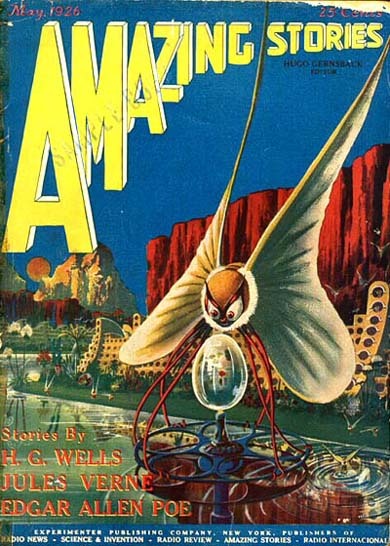 The first alien depicted on a cover: May, 1926. 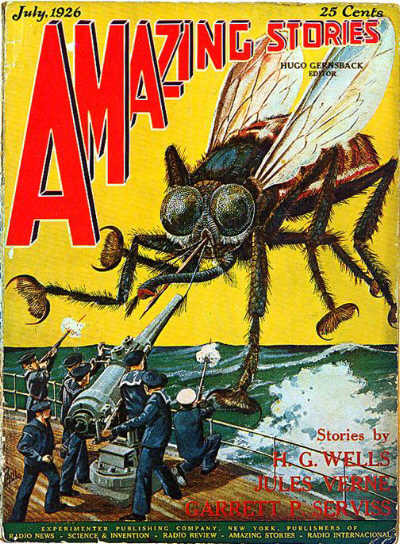 The first big bug to appear on a cover: July, 1926. 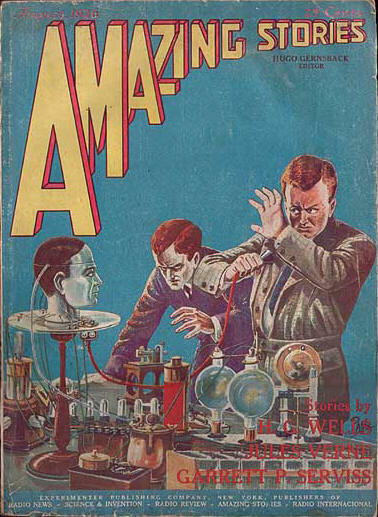 The first invisible man: January, 1927.